Fenwick Island’s first Comprehensive Land Use Plan was certified by Governor Ruth Ann Minner on October 26, 2007. Certification complies with the requirements of Delaware Code Title 22, Section 702 and is consistent with the Strategies for State Policies and Spending. 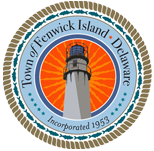 The Fenwick Island Planning Commission serves Town Council and the citizens of Fenwick Island by assuring that implementation activities are carried out according to the community’s wishes as stated in the Plan. The current Fenwick Island Comprehensive Land Use Plan was adopted and certified in 2007. In accordance with State Law, the plan has been reviewed annually and was re-certified in 2012. This document may be obtained from the Town Clerk or by download from this website. Critical elements of the Plan have been addressed and short-term goals have been met. Long-term implementation objectives and on-going implementation objectives are now being addressed by the Planning Commission in concert with Town Council and the various Town Committees. The Planning Commission has submitted a 2008 Annual Report, a 2009 Annual Report, a 2010 Annual Report, and a 2011 Annual Report to the State of Delaware. These reports address implementation activities accomplished for the year, problem areas and implementation goals for the next term. The 2012 Annual Report was submitted as well as a recertification request to continue using the current Plan for the next five years. The Plan was re-certified in October 2012.